In April 2014, Kyiv City State Administration and the Ministry of Culture of Ukraine initiated an All-Ukrainian open competition for the best idea for the memorial site of the Heavenly Hundred heroes in Kyiv. 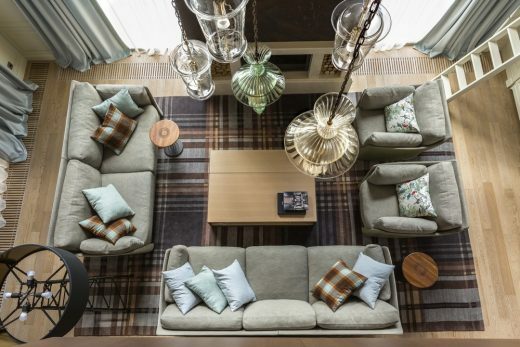 Wide public discussion of the Program and terms of Competition was held from May till the end of October 2014. 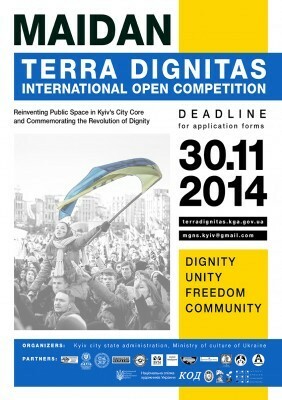 Following the public discussion, the city community, experts and authorities decided to hold the “Terra Dignitas: Reinventing Public Space in Kyiv’s City Core and Commemorating the Revolution of Dignity*” – International Open Competition as a successor of the open competition for the best idea for the memorial site of the Heavenly Hundred heroes in Kyiv. The application forms can be submitted till November 30th, 2014. * The Revolution of Dignity was a wave of patriotic protests in Ukraine, primarily against corruption, abuse of authority by the law enforcement and riot police, legislation, violating civil rights as well as for the European vector of Ukrainian foreign policy. The protests began on November 21st, 2013 as a response to the decision of the Cabinet of Ministers of Ukraine to suspend the process of signing the Ukraine-EU Association Agreement. They escalated after forceful dispersion of peaceful demonstration in Kyiv on the night of November 30th. Civil unrest included rallies, demonstrations, student strikes etc. During the crucial moments of the confrontation of the protesters and the government, hundreds of Ukrainians were killed and injured. Constant violations of human rights of Ukrainian citizens were recorded. Mass arrests and repressions of witnesses of unlawful actions of the power-holders took place.